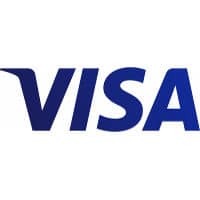 Visa has developed a range of customised digital card management “experiences” that will allow issuers to offer Visa cardholders “greater control and insight over how they pay, where they pay and who can pay” with a digital version of their Visa card. The new capabilities will be built on the Visa Token Service (VTS) platform and will be made available to issuers in the US and Australia in 2018. The offering is designed to “simplify issuers’ access to push provisioning capabilities” by providing one integration point to interface with participating VTS token requestors, Visa says. The solution will also allow a consumer who receives a new Visa card to log into their bank’s mobile app and link their new card details to a digital wallet or online merchant before receiving the card in the mail. They will also be able to extend access to the digital card to a trusted person so that they can make a purchase online or through a mobile wallet without giving access to a physical card or full account details. “This new set of capabilities will help issuers deliver superior card management experiences to their cardholders, letting them add, view, manage and share access to their card,” Visa says. Visa is also developing a Visa Card-on-File Data API that will provide issuers with details around merchants where a consumer has stored their card on file. The API will scan transaction history and identify card-on-file transactions such as bill pay or subscriptions. Additionally, an issuer will receive information about where their customers’ cards are updated in the event of reissuance. “As consumers become more connected, it is increasingly important for cardholders to be able to manage digital payment activities in one central location,” says Jim McCarthy, executive vice president of innovation and strategic partnerships at Visa.